To enter the five print challenge members must put one print into each of the listed sections. The sections are judged individually and every print receives a score up to a possible maximum 20. There is an overall winner of the challenge. 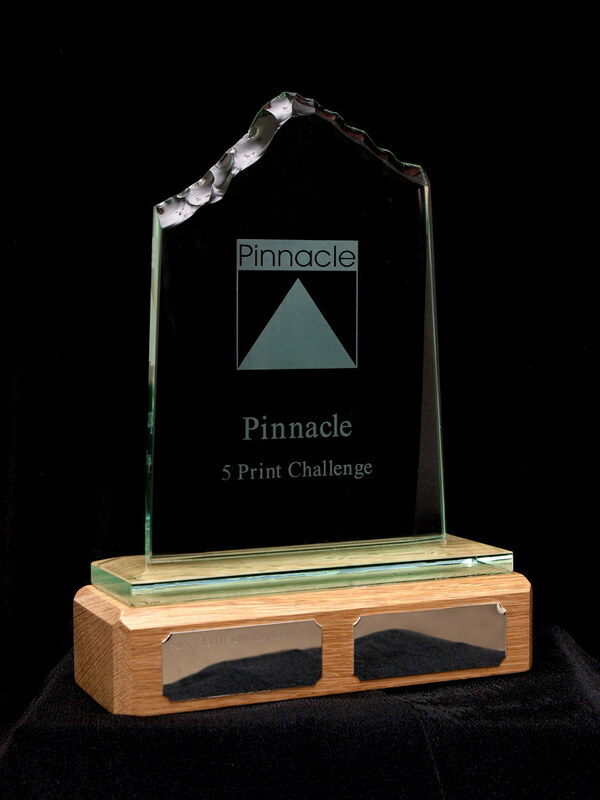 The scores from each member's 5 prints are accumulated; the top scorer is the winner. There is also a judge’s choice, section winner in each of the sections. 1, This challenge is outside of the normal club competition rules and only the rules listed below for the challenge apply. 2, To enter the challenge you must enter every section and put one print into each section. 3, Everything in the print must be the sole work of the author. 4, Prints can be home or commercially printed, be any size and mounted on/in a 400mm x 500mm mount. Image title and section should be clearly printed on the rear, nothing else; No name, distinctions, or exhibition labels should be showing on your images. 5, The sections are. Open colour, Open Monochrome, People, Scapes and Flora & Fauna. Please see the definitions of each section below. 6, Any image or similar image may not be entered into more than one section. 7, All entries must be handed in on or before the closing date. 8, Any images entered into a previous 5 print challenge or any club competition or battle is not eligible. Please enter new work only. 9, Each print will stand alone and be awarded by the judge up to a maximum of 20 points. The points of all of your entered 5 prints will be added together. The author with the maximum number of points will be deemed the winner. The judge will also award a winner of each section, this may or may not be the maximum point winner of that section. 10, Judges decision is final. Open Colour A colour image of any subject or one which does not fall into one of the sections below. An image which would be a significantly better fit in an alternative class, may be marked down at the judges' discretion, or disqualified. Open Monochrome A monochrome image of any subject. Monochrome meaning, a black and white image going from very dark grey (black) to very clear grey (white) and containing only various shades of grey. A black and white work toned entirely in a single colour will remain eligible for the monochrome class. However, a black and white work modified by partial toning or by the addition of one or more colours, becomes a colour work and is thus ineligible for the monochrome class. Sport A colour or mono image of any sport of your choice. This can include animals at any sporting event. Scapes This section encompasses Landscapes, Seascapes, Waterscapes, Skyscapes and/or Cityscapes. Any scenic view where the main subject matter is the view captured and depicted. People may be included in the scene as long as they are ancillary and or supportive of the main subject. Scapes images entered in this class may be colour or monochrome. Abstract/Creative Your image can be heavily manipulated if you wish, colour or mono.